SINN FÉIN IS set to table a motion of no confidence in health minister Simon Harris. Party leader Mary Lou McDonald confirmed this morning that the party will publish the no confidence motion in Harris, after the party strongly hinted that it would do so over the weekend. 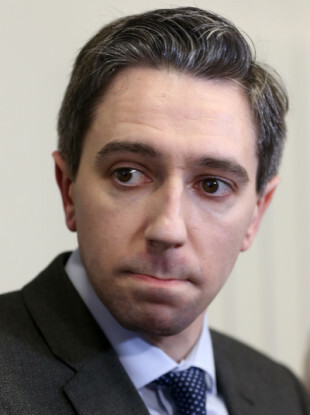 Harris has come under pressure in recent weeks for a number of issues, most notably the significant cost overruns in the construction of the National Children’s Hospital. The minister was strongly criticised by the opposition last week after it emerged he was informed in August that the budget for the hospital could overrun by €391 million. Opposition parties have accused Harris of misleading the Dáil as an answer he gave to a parliamentary question failed to indicate that costs were escalating. It was confirmed yesterday that Harris would apologise to the Dáil this week over the information he provided. He has also been criticised over the fact that Taoiseach Leo Varadkar and Finance and Public Expenditure Minister Paschal Donohoe were not informed about the potential overrun until 9 November. Speaking today on RTÉ’s Morning Ireland, McDonald confirmed that the party would be tabling a motion of no confidence, saying that Harris apologising to the Dáil was “simply not enough”. “The Dáil was misled, Fianna Fáil themselves were misled,” she said. McDonald labelled as “an absolute nonsense” the fact that Harris should remain in his post, and took aim at Fianna Fáil for its indication that it would not back the motion. Sinn Féin yesterday denied trying to use the issue to trigger a general election, as suggested by Fianna Fáil. In a statement, health spokesperson Louise O’Reilly said Harris’ apology was being used as political cover for Fianna Fáil. “The announcement that Minister Harris is to apologise to the Dáil this week is clearly nothing more than political cover for Fianna Fáil in return for their protection of Minister Harris. It’s a cosy little deal between the two government parties,” O’Reilly said, referring to the confidence and supply agreement. “And, let’s be clear here, Sinn Féin is not seeking an election. We are simply seeking the removal of this incompetent Minister who is charged with managing a budget of over €17 billion. Harris has also come under pressure recently over the ongoing nurses and midwives’ strike. A group of protesters gathered outside his home in Co Wicklow over the weekend before leaving the scene peacefully when gardaí arrived. He has denied misleading the Dáil over the overrun in the cost of building the hospital and said he “behaved entirely appropriately” in terms of informing government colleagues about the issue. Email “'Simon Harris has to go': Sinn Féin to table motion of no confidence in health minister”. Feedback on “'Simon Harris has to go': Sinn Féin to table motion of no confidence in health minister”.